Where can you get free parking within a dice throw of all the major attractions in Pyrmont? 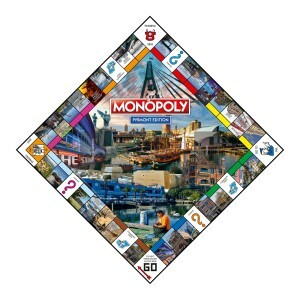 On the newly released, special edition Pyrmont Monopoly board! 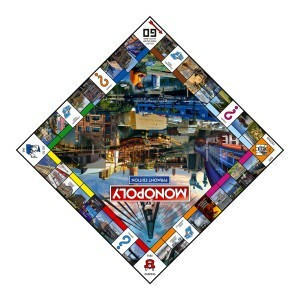 The beautifully presented customised version of one of the most popular games ever created features full colour images of signature landmarks and unique local sites. Step out of property market reality and into a fantasy version of realty where you can buy historic buildings like the Wool Stores or Pyrmont Bridge Hotel. Own your own park or wharf or bridge. You could afford to buy The Star, Sydney Fish Market and Australian National Maritime Museum just by passing “Go” a few times. The tokens, Community Chest and Chance cards are all locally themed as well. The Pyrmont Monopoly project has been developed by City West Community Financial Services (CWCFS) – the community company behind Pyrmont Community Bank branch of Bendigo Bank – along with support from local businesses. Proceeds from sales of the game will be used to fund City West community projects. 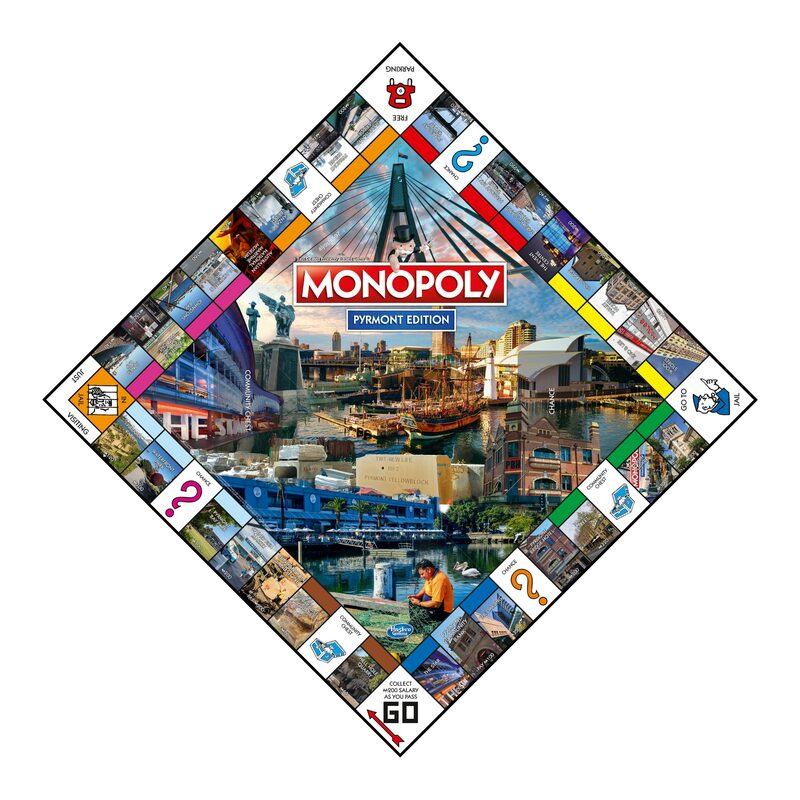 The first shipment of the monopoly game set will land at your Pyrmont Community Bank® Branch at the end of January 2019 and retails at $60.